In recent years, machine learning has made a leap on many learning tasks thanks to the algorithmic and computational advances that enable training very complex models, such as deep neural networks. A byproduct of this has been increased computational cost of training, instability of training, difficulty of estimating generalizability, and lack of controllability of the learned models. In the first part, we present a computationally inexpensive data-driven estimator for the out-of-sample generalization in parametric learning. We prove that the estimator closely follows the popular but computationally expensive leave-one-out cross validation. We also show its applicability to many learning tasks. Joint work with Meisam Razaviyayn (USC), Shahin Shahrampour (Texas A&M), and Vahid Tarokh (Duke). In the second part, we present a hierarchical approach to training human-like agents in team sports games. We show some results on agents exhibiting strategic gameplay while maintaining a reasonable cost in term of computation and time. Joint work with Igor Borovikov (EA Digital Platform), Jason Rupert (EA Sports), Caedmon Somers (EA Sports), and Yunqi Zhao (EA Digital Platform). Ahmad Beirami is a research scientist at Electronic Arts Digital Platform – Data & AI, leading fundamental research and development on training AI agents in multi-agent systems. His research interests broadly include machine learning, information theory, statistics, and artificial intelligence. Prior to joining EA in 2018, he held postdoctoral fellow positions at Duke, MIT, and Harvard. 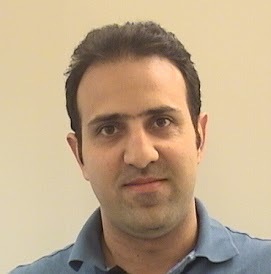 He received the BS degree in 2007 from Sharif University of Technology, Iran, and the PhD degree in 2014 from the Georgia Institute of Technology, in electrical and computer engineering. He is the recipient of the 2015 Sigma Xi Best PhD Thesis Award from Georgia Tech.